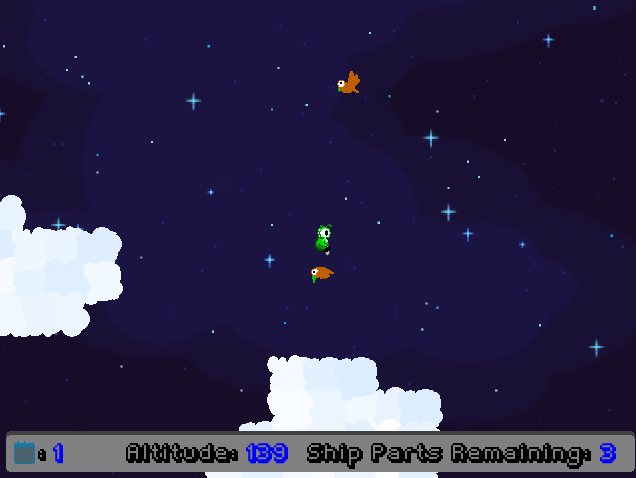 You play as an alien flying back from a mining expedition. 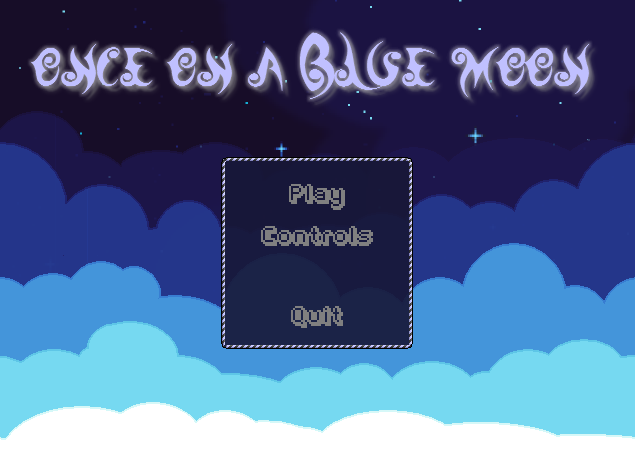 After colliding with a meteor, you find yourself on a strange blue moon. 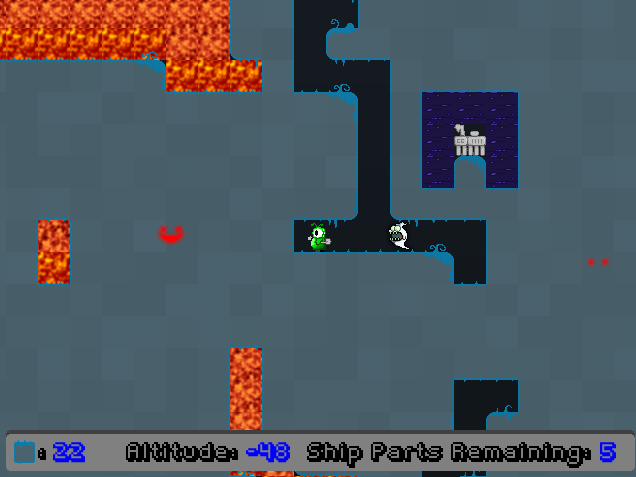 In order to escape the vicious monsters on the moon, you must find the pieces of your spacecraft scattered underground with your trusty shovel. 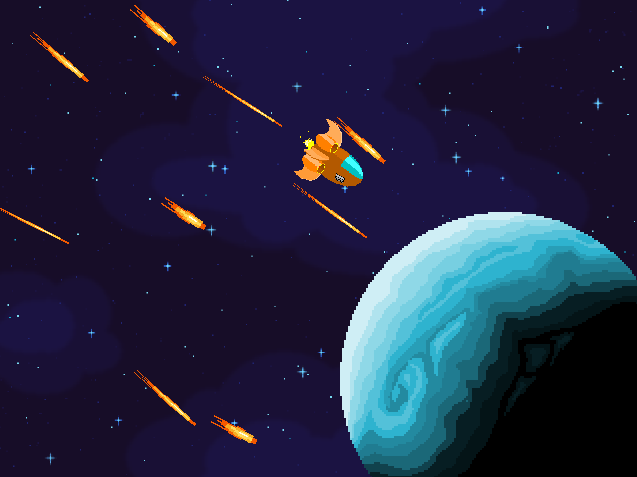 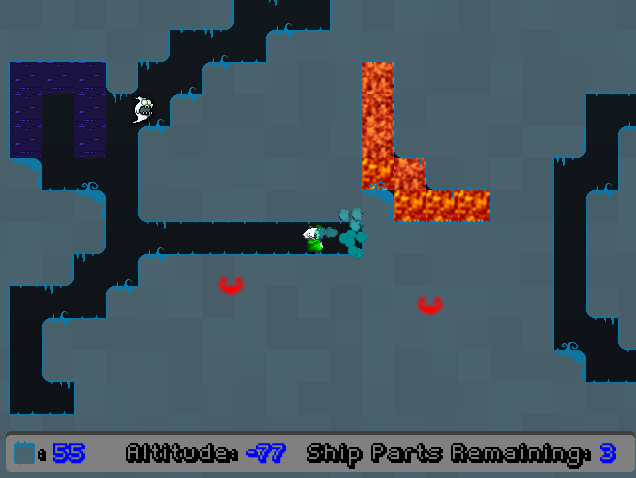 Avoid the enemies and lava, collect the pieces of your spaceship, and fly back home!